After two prior attempts that saw Tobey Maguire and Andrew Garfield slinging through the city in red tights, this time around Sony has partnered with Marvel Studios to bring a younger, more naïve Peter Parker/Spider-Man to the Marvel Cinematic Universe. After the failure of ‘The Amazing Spider-Man’, it seemed like a match made in heaven for both Sony and Marvel to bring the beloved character to an already established franchise. The MCU has always been known for its lighter tone when telling a story and here we have the opportunity to get to know both Peter Parker and Spider-Man. Homecoming is a big step up for director Jon Watts who had helmed two films prior, both budgets combined for a small $6.5 million. That’s a drop in the bucket compared to the estimated $175 million that was used to make the latest MCU installment. Thanks to the inspiration of classic coming of age films, Watts helps to establish a surreal high school experience. It’s nice to see a high school full of students that actually look their age. The atmosphere of the school is genuine thanks to the multiculturalism which is embraced by casting actors to portray different versions of characters from the comics. After a glimpse of him in Civil War, Tom Holland is back as the title character and once again shows his range of talent. The ordinary teen with not so ordinary talents works well here as Holland portrays Peter as a good spirited teen who means well. 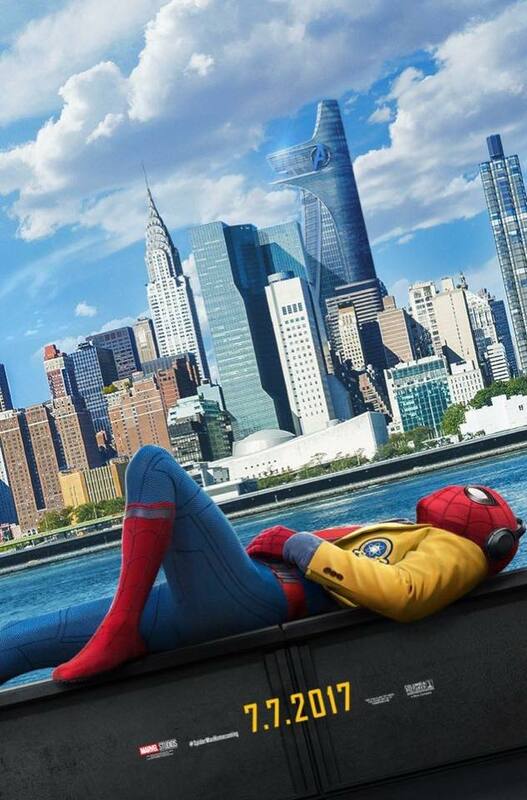 We don’t see the origin story that the world has seen in the previous films, instead they breeze past it and show how Peter adapts to life as a high schooler by day, superhero by night. Often the character is tormented by their unique abilities, here Parker accepts and takes pride in the role. Seeing an enthusiastic teen learning on the fly, literally, makes the audience fall in love with him that much more. The banter between Peter and his bestfriend Ned is witty and makes for some great comedic moments. Jacob Batalon is great as the pal turned sidekick who must resist the urge to brag it up around school that he’s friends with Spider-Man. All the students are unique and compliment the story well. Zendaya plays Michelle, an outcast and acquaintance of Peter that is always razzing him about his awkwardness. Laura Harrier plays Liz, a senior who Parker has a crush on. Despite the character not having a ton to do, her charming persona serves as motivation to Peter. Despite being used heavily in the marketing, Robert Downey Jr’s Tony Stark has a smaller role than expected. Playing the mentor, he offers great advice to Peter and helps to shape him, not only as Spider-Man but as a mature young man. Never having a father figure, he looks up to Tony and respects his input…for the most part. 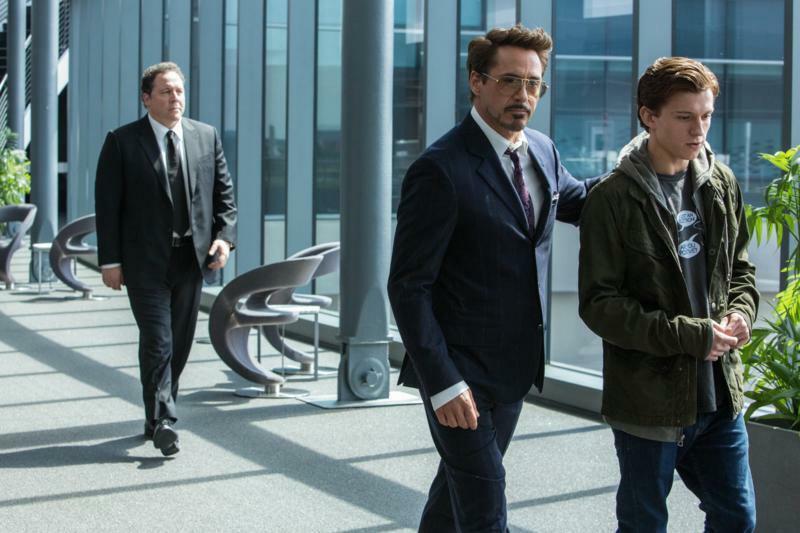 Though Stark is known for his arrogance, his relationship with Peter is much more down to earth than the egotistical billionaire he is set out to be. Jon Favreau’s Happy Hogan is an added bonus as he is tasked with overseeing Peter’s everyday life. Despite the overwhelming success of the Marvel Cinematic Universe, it has always struggled to deliver compelling villains, aside from Loki, that could give their heroes a run for their money. 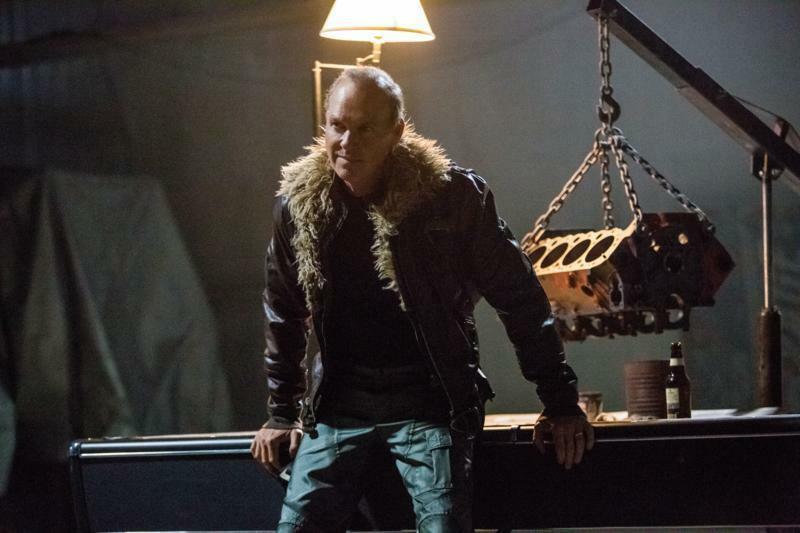 Here we get Michael Keaton as Adrian Toomes (or Vulture), a businessman that will stop at nothing to provide for his family. After the events depicted in The Avengers drive Toomes’ salvage company out of business, he turns to arms trafficking. Having a villain not wanting to take over the world is a nice change as Keaton’s character has motivations that are fleshed out and reasonable. What makes Toomes intriguing is the fact that some of the points he brings up make sense which further adds to the layered character. He’s a business savvy man that is taking advantage of an opportunity. Keaton continues his career resurgence as the menacing Vulture who serves as a great antagonist to a rookie superhero. Any gripes that can be made about the film will probably involve the set pieces. There isn’t a lot to dislike about the film but the action is pretty standard and pale in comparison to the prior Spider-Man films. Tonally the film is much different compared to the other MCU films, at 133 minutes it often seems as if the film is struggling to decide whether it wants to be its own thing or stay the course with the other MCU films. To summarize, Spider-Man: Homecoming is an exhilarating, fresh take on a familiar face. Thanks to a charismatic performance from Tom Holland and an authentic portrayal of its source material, it looks like Spider-Man is has found a home in the Marvel Cinematic Universe.